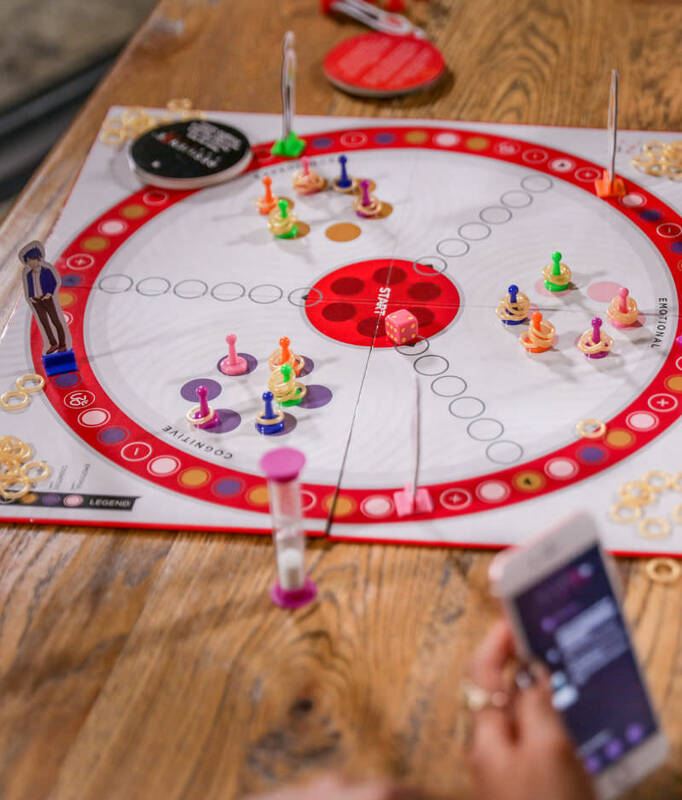 For the first time ever, RESILIENZE FOR LIFE is a purpose-built, interactive board game, based on current resilience research RESILIENZE FOR LIFE is a fun-filled game with Life Cards and an intuitive App where you collect Gold Rings. 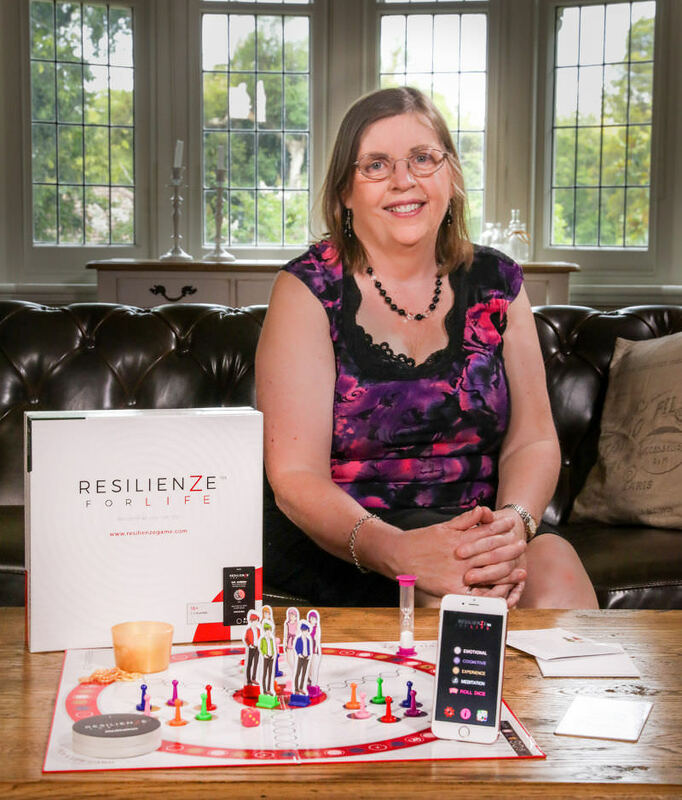 RESILIENZE FOR LIFE is an educational game with a difference, packed with skills, strategies and challenges that could have a massive effect on how you manage and enjoy your life. Created by a Clinical Psychologist, with over 30 years experience in helping people become resilient for a lifetime of challenges. Now you can challenge and test yourself while having loads of fun with tons of interactive questions plus the chance to earn and collect Gold Rings. RESILIENZE FOR LIFE is a game that will teach you all the aspects to having real RESILIENCE in your life. The RESILIENZE FOR LIFE game gives you the ability to create a new way of being in control of your life, through your responses to everyday situations. A complete change in your enjoyment of life awaits you, if you have the courage to take on the challenge of getting RESILIENZE FOR LIFE. RESILIENZE FOR LIFE is packed with excitement and fun, including 25 Life Cards and loads of App-interactive Life Questions, covering four categories using scenarios that demonstrate resilience, in Real Life situations. Roll the dice and move the number of spaces to a question or pick up a Life Card. If the question is answered thoughtfully, you will be rewarded with Gold. Players must answer a question correctly OR fully participate in a task for each category, in order to collect a Gold Ring for THAT category. A commitment to excellence in life and maintaining resilience for a lifetime. Judye Margetts is an accomplished clinical psychologist, focused on providing and developing resilience for everyone. Sophocles wrote “I have no desire to live my life twice in reality and retrospect”. Yet, we spend much of our life living in retrospect, almost as if the life journeys that we make which are often difficult enough in reality, become constantly re-experienced. Perhaps it is the shock, denial, anger or other emotions of life experiences that blocks our ability to see forward and refocus our lives forward. In living our life twice our resilience becomes its victim. Resilience is not the outcome, it must be the goal. Judye’s life experiences inform and propel her career and testify to the resilience that can be achieved when it is placed as the goal of a life. evidenced based therapy which is further enhanced by showing clients how to use the therapy interventions for resilience creation. Developing a unique therapy instrument 18 years ago has meant that clients have developed a focus on how easily resilience can be destroyed or re-established. Judye believes that using retrospect or reflection should only occur to identify points for change and the ability to live in a real world can be created through focused management of oneself and ones interactions. Judye also recognises that our expectations and ideals in life are rarely met and hoping they will be met can end in loss of motivation for life, loss of resilience and being trapped, unable to make forward focused decisions. For clients who have been through devastating life experiences focus on the future and better relationships with others can bring resilience. BA (Psyc), Grad Dip (Psyc), M MHNursin. Become All You Can Be! Resilienze For Life Pty. Ltd.